At this point it should come as no surprise that the 10-inch iPad is due for an upgrade. Apple is expected to announce the fifth-gen iPad on the 22nd, and the details about the tablet have been steadily leaked since the beginning of this year. 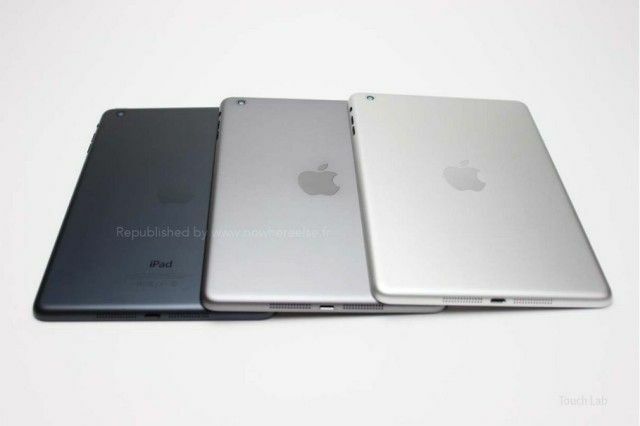 According to numerous parts that have leaked, the design of the next iPad will feature a slimmer, tailored profile with narrower bezels to match the look of the iPad mini. Space Grey and Silver colors have leaked, but there hasn’t been any concrete evidence to suggest a Gold model. The fifth-gen iPad’s processor will likely be the 64-bit A7X, which is based on the new A7 in the iPhone 5s. Don’t be surprised to see the 5s’s M7 co-processor either. There have been claims that the rear camera will have a much-improved 8 megapixel sensor. Aside from that, there haven’t been any big rumors on the spec front. 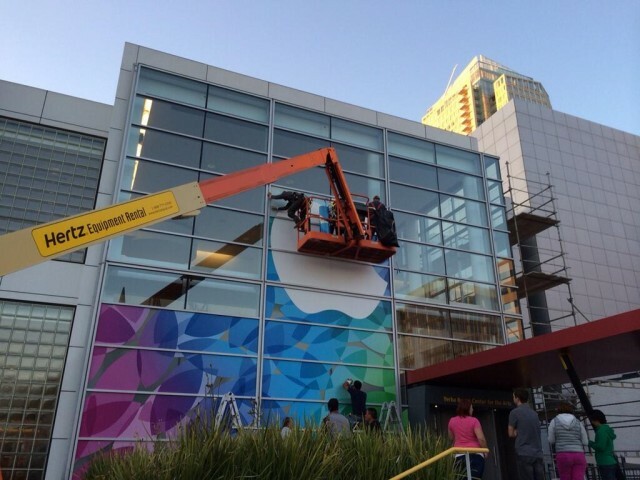 Some have speculated that Apple will put Touch ID in the iPad, but that is far from confirmed. Pricing will likely stay the same at $499 for the staring model. 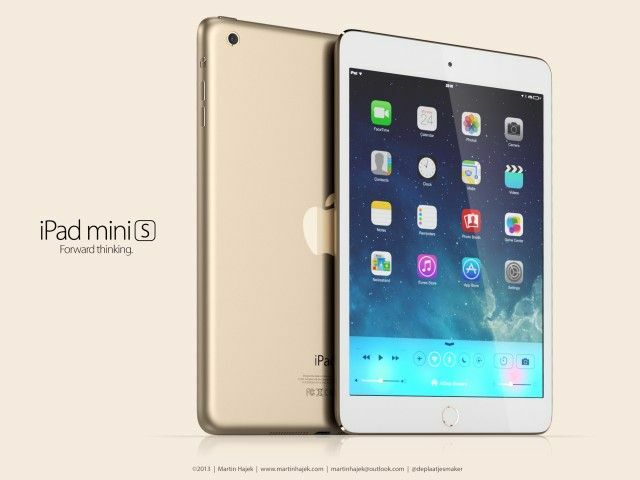 Another addition to the iPad family this fall will be the second-gen iPad mini, according to many months of reports and part leaks. The exterior design of the tablet looks pretty similar, but there have been reports that Apple has had to slightly thicken the frame to fit a larger battery. Why a larger battery? The second-gen iPad mini is expected to come with a Retina display, which means a huge resolution increase from 1024 x 768 to 2048 x 1536. Although reports have contradicted Apple selling a Retina mini this year, the consensus now is that Apple will ship with Retina for the holidays and face severe supply constraints—so get in line early. Gold mini? Don’t count on it. Processor-wise, most believe that Apple will include the A6 chip from the iPhone 5, although the unusually reputable analyst Ming-Chi Kuo believes we’ll see the A7X in both tablets. Kuo also believes the rear camera will be upgraded to 8 megapixels to match the iPad 5. 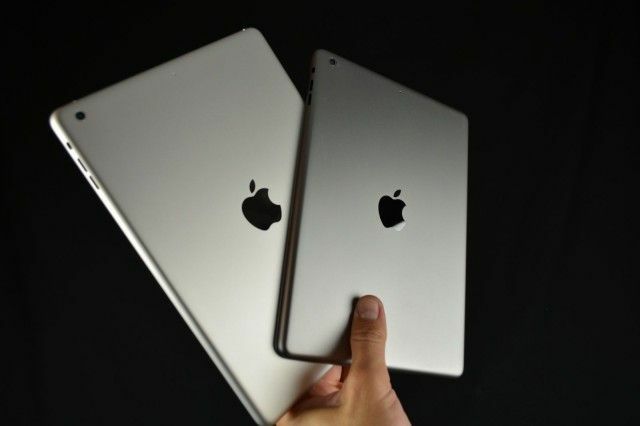 We’ve seen part leaks in Space Grey and Silver for the upcoming mini, but like the larger iPad, nothing golden. The Wall Street Journal has said Apple is experimenting with new colors for the back plate, but we haven’t seen any part leaks for 5c-like colors. What about Touch ID? Like the iPad 5, there haven’t been any concrete reports to support the idea that Apple will include a fingerprint sensor in the second-gen iPad mini. 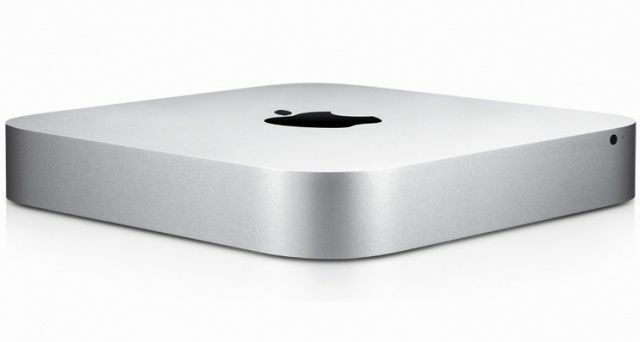 After unveiling the new Mac OS at WWDC in June, Apple is expected to announce the release date of Mavericks at this event. 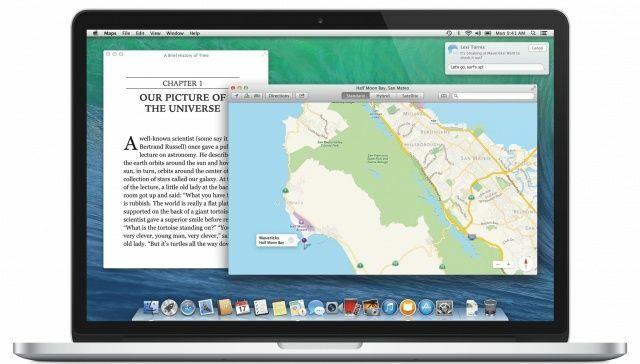 OS X 10.8 Mavericks includes iBooks, Apple Maps, iCloud Keychain for Safari, Finder Tabs, system-wide tags, better support for multiple displays, and more efficient power management. Mavericks was recently updated to the final developer GM, and Apple has asked developers to start submitting apps that are optimized for the new OS to the Mac App Store. The release date could be either the day after the event or a week later after Apple’s next earnings call. OS X Mountain Lion was priced at $20 in the Mac App Store last year. Apple will probably ship iOS 7.1 with the new iPad hardware. A big update with big fixes and smaller features is usually made available around this time after a major 1.0 release. It has been reported that Apple has been testing 7.1 internally, and the update will likely bring back iCloud Keychain, a feature that was removed during iOS 7 beta testing. With the coinciding launch of Mavericks, it makes sense for iCloud Keychain to return now. 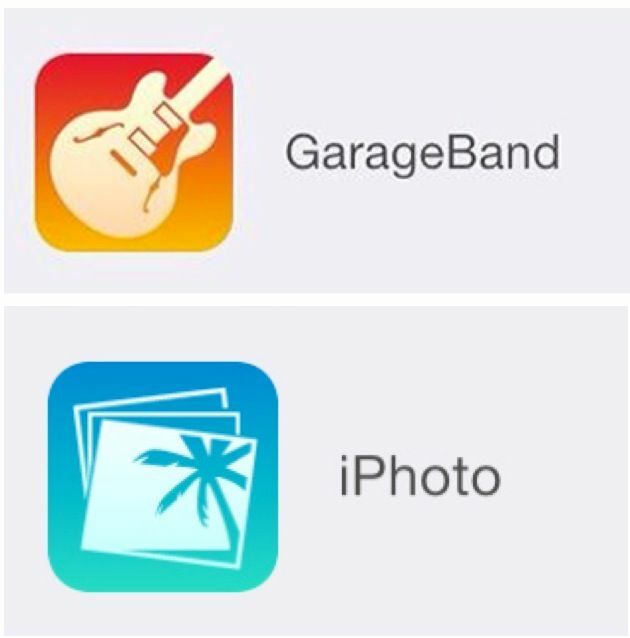 Updated icons for Garageband and iPhoto recently leaked, so it’s possible that Apple could also announce a redesign of its iLife suite. The iWork suite of apps is also sorely in need of a design refresh. It’s about time for Apple to put Intel’s new Haswell chips in the MacBook Pro, so expect that to happen. Haswell will not only mean faster performance, but also better battery life. Faster 802.11ac wireless networking support will likely be added as well. The MacBook Air got updated with Haswell over the summer. We don’t know what the exact distinctions will be between the normal Pro lineup and the Retina Pro, but it would be odd for Apple to not put Haswell in both. The MacBook Pro with Retina display was last updated in February with a small spec bump and a price drop for the 13-inch model. The non-Retina MacBook Pro hasn’t been updated since June 2012. New MacBook Pros will likely be available right after the event. Apple is expected to announce availability and pricing for the all-new Mac Pro it showed off at WWDC in June. The shipping date has been “fall 2013” on Apple’s website for months, so here’s to hoping they stick to their word. 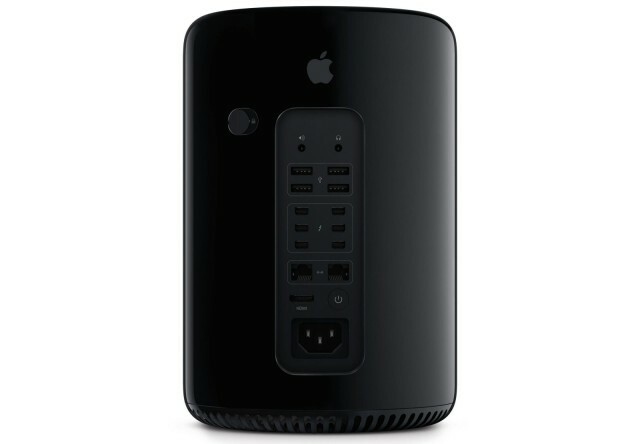 The Mac Pro is rumored to be the mysterious product Apple will make in the U.S, and Flextronics has been on a hiring spree to build “a next generation desktop computer” in Texas. It would make sense for Apple to finally announce a new Thunderbolt Display alongside the release of the new Mac Pro, but that’s entirely conjecture. Apple’s professional display has been in desperate need of a refresh for years. An update would hopefully bring 4K resolution, Thunderbolt 2, USB 3, MagSafe 2, and a design that’s not thicker than the current iMac. If it does happen, expect it be insanely expensive. Because why not? It’s due for a Haswell upgrade too. 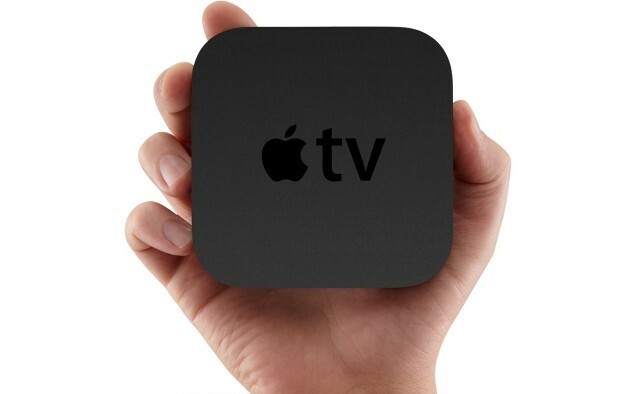 Rumors surrounding the Apple TV have been pretty quiet lately, but there have been a few notable reports suggesting that an upgrade is imminent. Don’t expect anything too radical, though. If anything, Apple will likely upgrade the processor and networking and call it a day. It would be nice to see a developer SDK for making apps, but a consumer-focused event like this one isn’t as geared towards such as an announcement like WWDC. 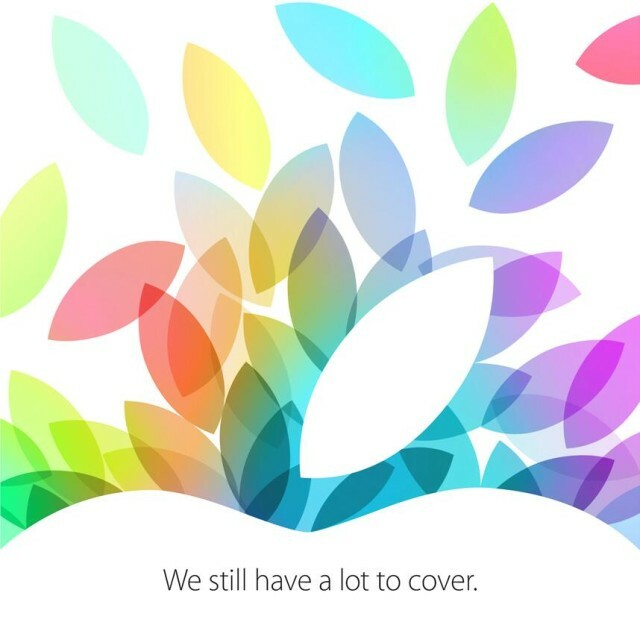 Cult of Mac will be covering Apple’s iPad event and the news surrounding it in full force this Tuesday, October 22nd. Stay tuned for much more!